How will the new gambling tax affect you? Although it has been in the offing for some time, we now know that plans to introduce a tax to online gaming will be implemented from December 1, 2014. The exact form of that tax is not yet certain, as the government is asking for views on its proposal to be submitted by September 30, 2013. It seems likely, however, that the new tax will be applied on a “place of consumption” basis – so if the player is from the UK, any poker site servicing that client will have to pay this tax on their profit from the player, regardless of where the parent company operates from. This will hit companies like Ladbrokes, William Hill and Bwin.party, as they have their operations based in Gibraltar, and currently only pay a 1% levy, capped at £425,000, for all of their gaming operations. At present, the government is proposing a 15% tax on so-called remote gross gambling yield – the same as level for domestic (ie UK-based) internet betting companies. Commentators in the poker world were quick to state that it will not affect poker players that much. I think that may be largely true for money-losing poker players, although the less revenue each company makes from poker, the less interest they will have in promoting it, and therefore the fewer marketing dollars will come poker’s way in the future. This may mean less added value to prize pools, or domain-specific promotions such as rake races, and possibly even land-based events if they are linked to online operations. For the money-making poker player, the outlook may be less optimistic. 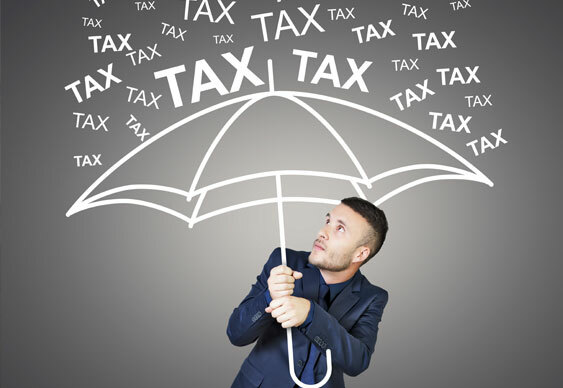 Granted, the tax is not – as with some countries, such as France – levied directly as a percentage of rake. That could well spell disaster for many players. But even under the proposed tax, these players will be affected. Let’s put it this way: nothing about the new tax directly affects the number of money-losing players there are, or how much they lose. Hence, the net amount of money taken out of poker remains the same. It’s simply that now there’s another player in the mix. Before it was both money-making players and poker sites taking money-losing players’ money, but with the extra tax revenue, the government will effectively become another horse at the trough, a third drain on that resource. Poker players themselves can’t really react to this change. If they could step up their skill level and hourly rate, they already would do so (laziness aside!). As we’ve seen in the past, however, poker sites can react. They’ve already recognised that money-making poker players are a drain on their profits. It’s understood in the industry that new players tend to register on a site, lose a certain amount of money, and never come back again. Of course, for each individual player, there are up and downs, perhaps some of them are lucky enough to bink a win and withdraw a profit, but on average, it’s simply a question of how long they last. The problem for poker sites is that sharks make the fish lose their money quicker – money that otherwise the sites would have earned. The (increased) presence of a fourth agency in this symbiosis threatens to exacerbate the problem. And you can bet that the poker sites will react by doing more to protect their margins. So we will have yet more of the measures that decrease skill edge: anonymous tables, obstructing HUDs, disabling third parties from data-mining, and so on. All of this will continue to erode the value that the shark can get out of the fish. Imagine a shark-combating tactic such as a site blocking its SNG data from being read by Sharkscope. If we put all players on a spectrum in terms of BBs/hour, we can expect that there will be a bell curve of skill distribution, with its centre at somewhere just below the break-even point. The net effect of the site blocking Sharkscope mining its data is, of course, to shift the bell curve ever so slightly to the left (ie, to the negative). Imposing a new tax on the whole industry has the same effect: it basically drops everyone’s hourly rate, and thus it shifts the bell-curve of skill distribution to the left. Interestingly, in the above example, not all players will be affected equally. Any changes that affect the edge a player can have will have a disproportionately large effect on the relatively less skilful. Thus, a bunch of players who were making small money will now be breaking even, or perhaps slightly money-losing. By contrast, those (admittedly fewer) players who were further to the right, and making decent money, will have dropped down in hourly rate about the same amount, but as a percentage of their profitability, it won’t be that bad. This may in itself yield an interesting result. Presumably some of those professional micro-grinders who were making enough to get by (having to play at quite low stakes with a low BB/hour) will now give up playing and get other work. Either that, or they will have to drop down another level and commensurately increase the number of tables they play. Eventually, they will hit a wall, as there is a certain level below which the rake is simply too high to outstrip. Secondly, as some sites have already noticed, if they limit the maximum number of tables, that will also stymie the micro-grinders. So not only will players get closer to the wall, the wall may yet come closer to them! In conclusion, although this has been a long time coming, and we are late to the party in comparison with other countries, online poker will soon be taxed in the UK, and there will be a knock on effect in terms of profitability for money-making players. Recreational players shouldn’t be affected too badly. In fact, if the websites become more aggressive in their fight against money-making players on their site, it may well have a long term positive effect for them.